Stainless steel, a rust-resistant variation of ordinary steel, comes in many standard types, each identified by a number. Two, known as 430 and 304, have different properties that come from mixtures of iron and other metals in slightly different amounts. Both types have many practical industrial, medical and household applications. Stainless steel is an alloy, or combination of two or more metals, that has beneficial features not found in any of the metals by themselves. 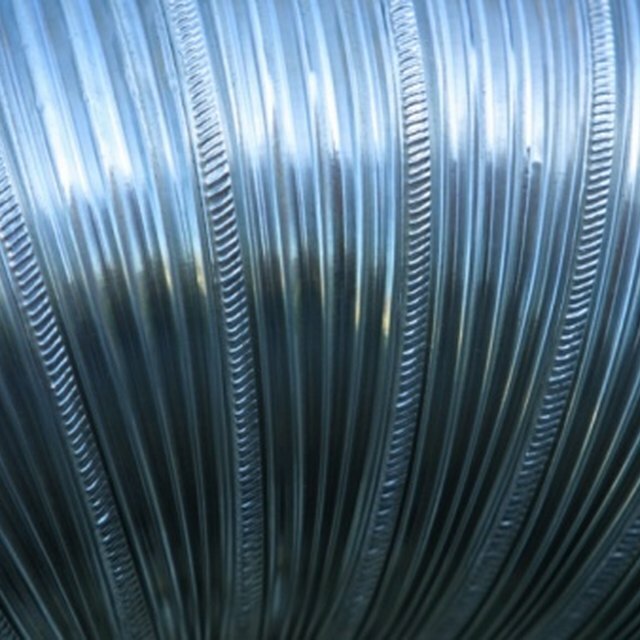 To make stainless steel, chromium is added to ordinary steel, giving it corrosion-resistant properties. Type 430 stainless steel is made up of 17 percent chromium and 0.12 percent carbon while 304 stainless steel contains 18 percent chromium and 0.08 percent carbon. Raw iron is ferromagnetic, meaning you can attract it with a magnet, and you can make a magnet from it. The 430 grade stainless steel is also ferromagnetic. However, 304 is not. Type 430 steel is less expensive and is somewhat difficult to form and weld than type 304. Type 430 stainless steel is ideal for the production of automotive trim, the insides of clothes dryers and dishwashers. Manufacturers use 304 stainless steel in the production of kitchen sinks, counter tops, food processing equipment and other equipment regularly exposed to corrosive environments. Type 430 is one of the most popular grades of stainless steel. University of California: Why is Stainless Steel Less Susceptible to Rust Than Other Metals? Leone, Jay. "430 Vs. 304 Stainless Steel." Sciencing, https://sciencing.com/430-vs-304-stainless-steel-7744463.html. 13 March 2018.